Bezirgiannis, N, de Boer, F.S, E. Albert (Erlvira), & E. Martin-Martin (Enrique). (2016). 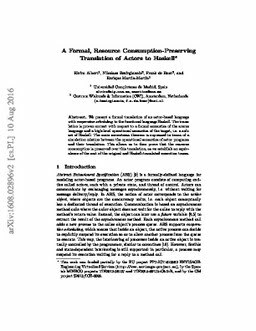 A Formal, Resource Consumption-Preserving Translation of Actors to Haskell.